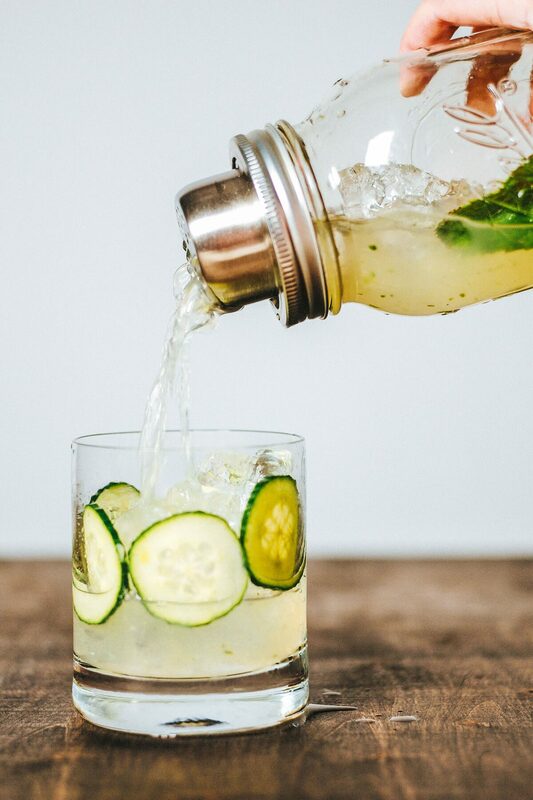 We recently received this new recipe for Conquistador’s Tonic from Kevin Denton, the national mixologist of Pernod Ricard USA and wanted to give it a try at home. 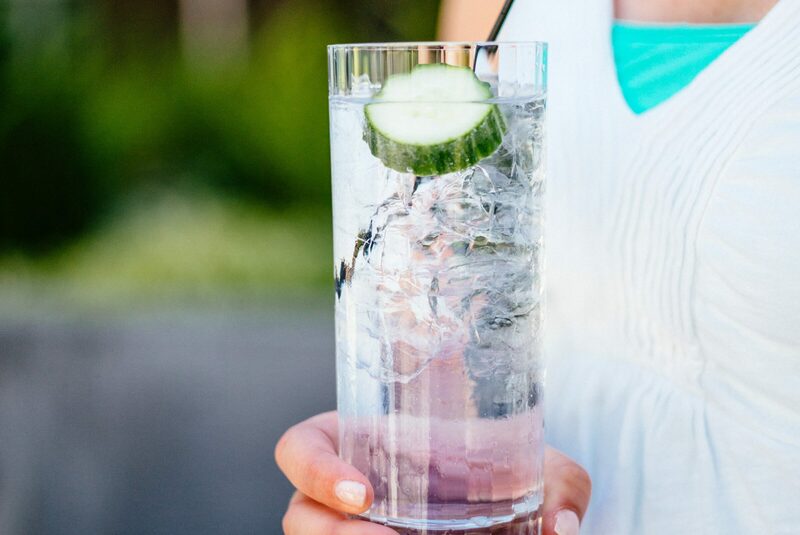 We love gin and tonics (see another of our favorites here). It’s no secret that we’re huge fans of herbs in cocktails (like this one and this one), so the combination of apple, cranberry, and rosemary definitely caught our attention! We started by thinly slicing apples. A small paring knife or utility knife is perfectly fine for this, and we keep a stack of these small cutting boards for little prep tasks like this. Our first time testing this recipe, we found muddling apple slices to be a little difficult. It didn’t result in the uniform texture we wanted. Muddling grated apple is a whole different story. We grated an apple slice on our medium Microplane and it muddled much more easily. We used our favorite muddler to combine the grated apple and 4-5 rosemary leaves in the bottom of our favorite highball glasses from William Yeoward’s American Bar collection (similar here and here). These have such a classic design, they never get old and we never get tired of them. For this recipe, we used Plymouth Gin (c/o) and measured all the ingredients in our favorite ISI measuring cups. 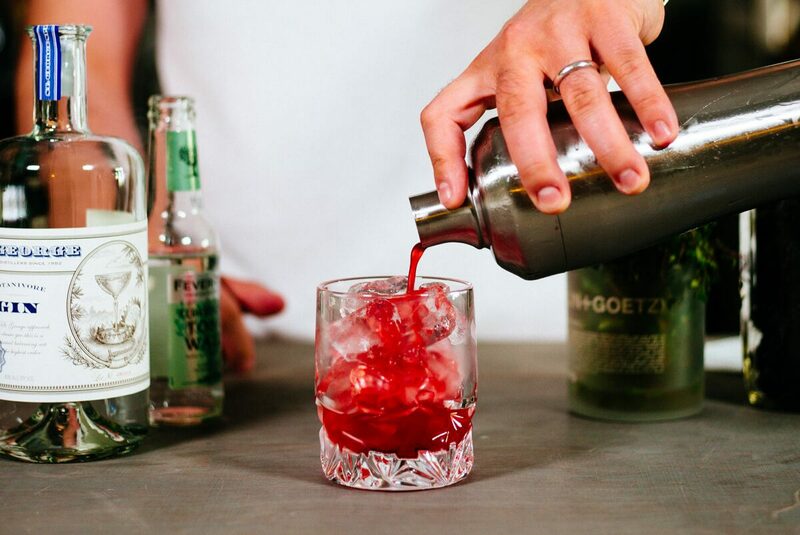 We added the cranberry juice and topped off the cocktail with our favorite Fever-Tree tonic water. To finish off your cocktail, garnish with a sprig of rosemary and a few apple slices. Muddle rosemary needles and grated apple in the bottom of a highball glass. Add ice, gin, cranberry juice, and tonic water. Garnish with apple slices and a long sprig of rosemary.